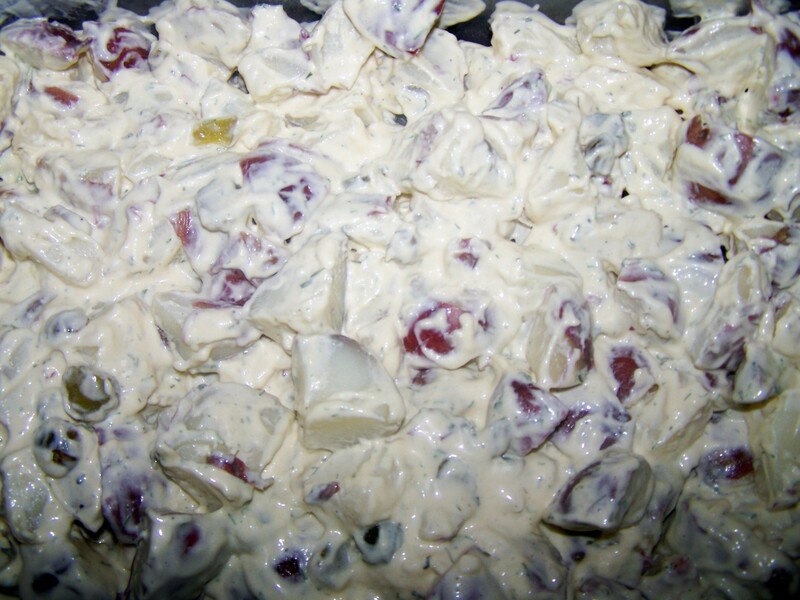 I love this potato salad! I love how I added the gherkin pickles and their juice. It gives it a little bit of sweetness to this dish. I have also made this salad with dill pickles, and it is just as delicious. I originally found this recipe from the Food Network site by Tyler Florence. I took his recipe and made a few changes. 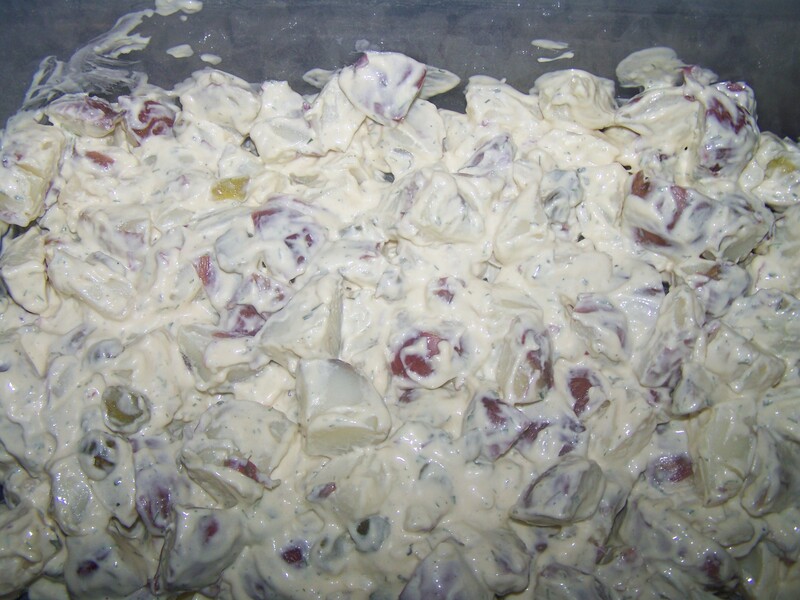 It has now become the potato salad that I must (or should I say am required) bring to any party. Put the potatoes into a big pot of cold salted water. Bring to a boil. Meanwhile cook the eggs in boiling water for 12 minutes. Remove the eggs with a slotted spoon and let cool. Continue cooking the potatoes until a paring knife poked into them goes in without resistance, about 3 minutes longer. Drain the potatoes in a colander and let them cool. Stir together the mayonnaise, mustard, pickles and their juice, parsley, scallions, dill and lemon juice in a separate bowl large enough to hold the potatoes. Peel the cool eggs, chop and add them to the mixture. Add the potatoes and toss to coat with the dressing. Season, to taste, with salt and pepper. This is best if you refrigerate overnight.